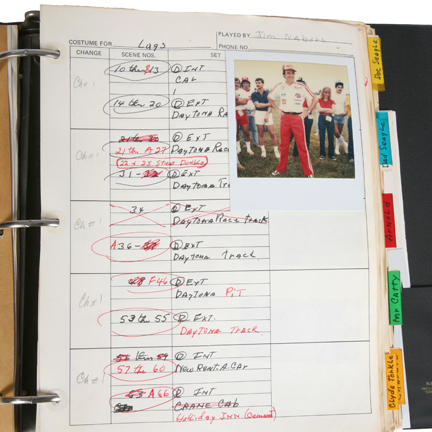 This principle character continuity book was created by the costumers who worked on the feature film “Stroker Ace”. 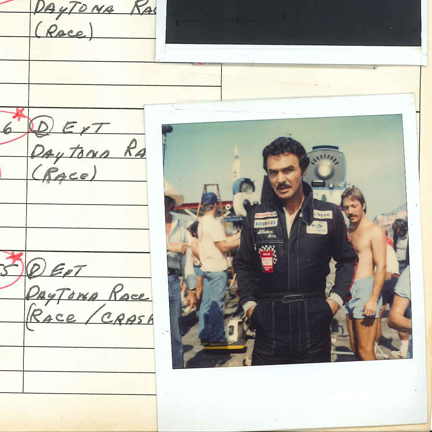 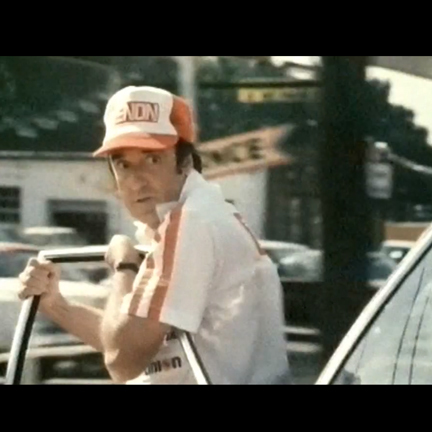 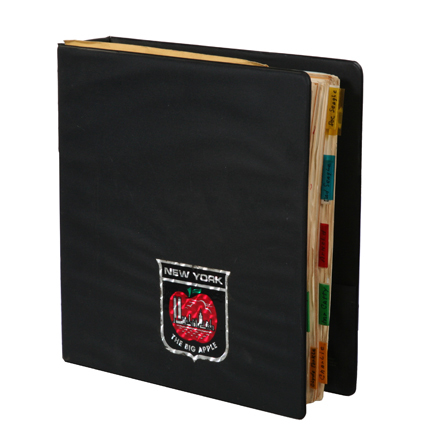 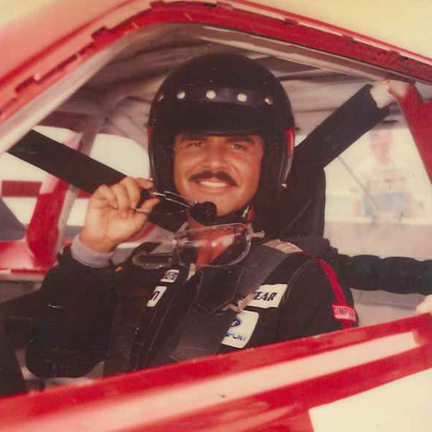 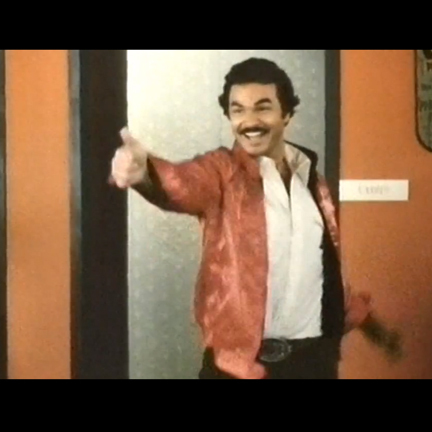 The book contains continuity Polaroid photos and costumer notes for Stroker Ace (Burt Reynolds), Jimmy Joe James (Parker Stevenson), Lugs (Jim Nabors), and back other principle characters. 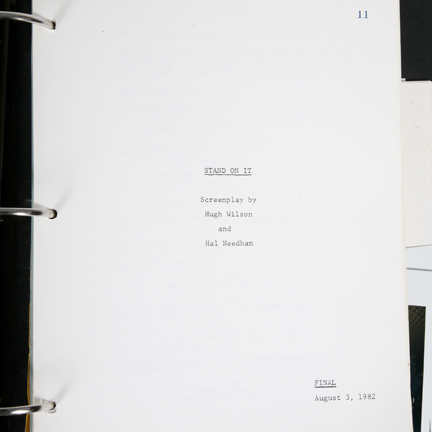 Also included in the book is the final script titled “Stand On It” which was the working title dated August 3rd, 1982”, continuity break down of scenes, day out of days shooting schedule, and a set of the original call sheets. 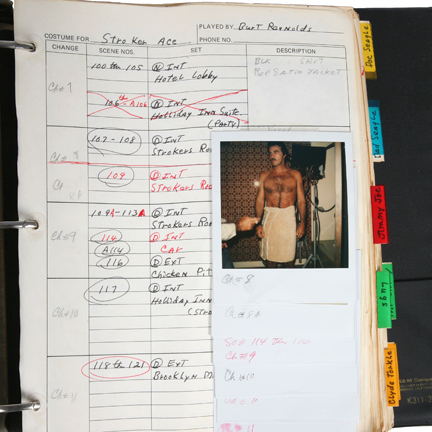 This book was utilized by the costumers to document the actor’s wardrobe changes and reference costume continuity to ensure consistency during filming and reshoots. 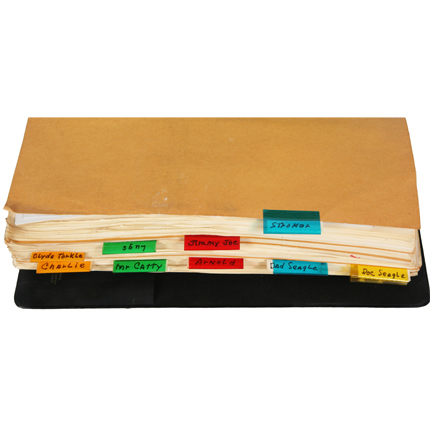 The binder and its contents are in excellent production used condition and is a very important and rare piece of motion picture history.